Markel is the innovator of horse farm insurance. Ever since Markel brought our first package to market over 50 years ago, we’ve enhanced our products and services to meet your changing needs. Markel offers you more than superlative protection; you can depend on an unmatched record of experience, expertise and commitment that have made us the leading name in equine insurance. When your business is the target of a lawsuit, money isn’t the only thing that’s at stake. Your reputation is on the line, too. 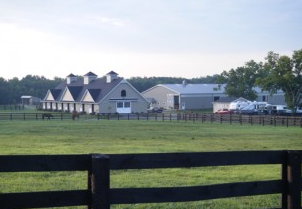 Markel has years of experience handling equine liability claims. They’ll ensure that a claim against you is resolved fairly, with consideration for all parties involved. The application process can sometimes be a daunting task, and we are here to make it easy, so you can spend time with your horses and clients. Personal Dwelling, Farm-Related Buildings (barns, stables, hay sheds, arenas),Farm Personal Property for farm machinery, tack, equipment, hay and feed, Replacement cost available on buildings and household contents. Increased Limits available for contents and loss of use based on value of dwelling. care is injured, becomes ill or dies, and you are found to be negligent. This does not apply to horses you own or lease.